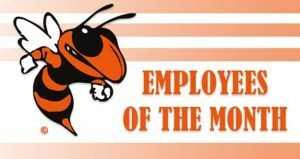 Every month Kemp ISD honors employees from three key position types within the district. The recipients are acknowledged during the monthly school board meetings. If you see any of these well deserving recipients please be sure to congratulate them on a job well done and to tell them thanks for their service for the students within the Kemp Independent School District.